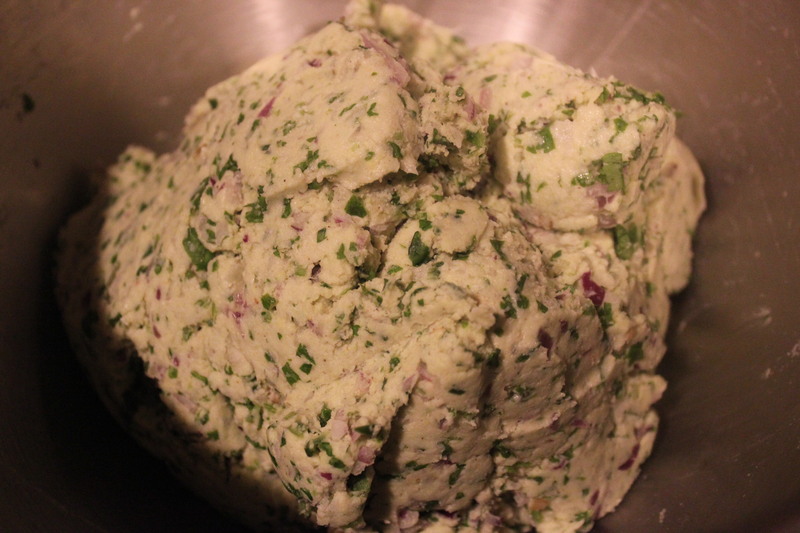 Literally, Makki di roti means “bread of corn” this version flavored with spicy chilies and the herbaceous cilantro is a great accompaniment to the chicken curry I made to go with it. 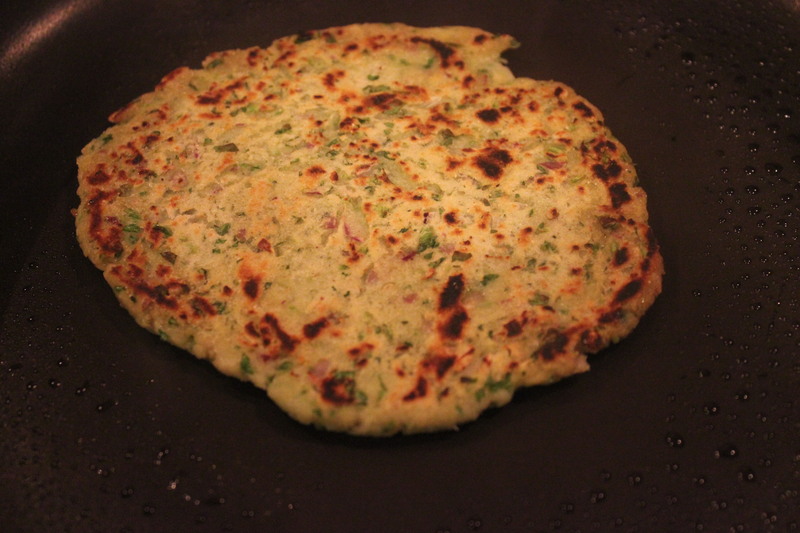 This flatbread (classically not flavored) from Punjab, deemed peasant food, often it is eaten with spinach and added ghee (clarified butter). This version incorporates vibrant flavors that can easily accompany any meal or even be served with a dip for an appetizer. • 2 cups finely ground yellow corn flour, Yellow corn flour is made from finely ground dried corn. 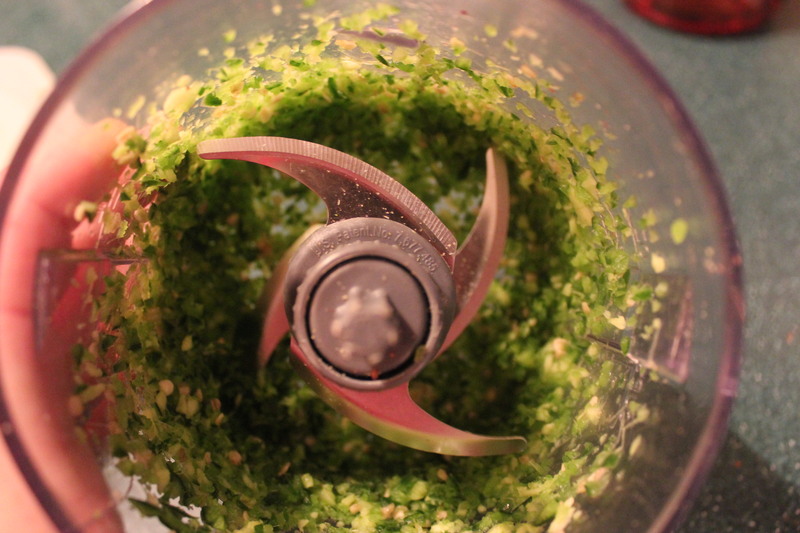 It’s finer in texture than cornmeal and should not be used interchangeably. 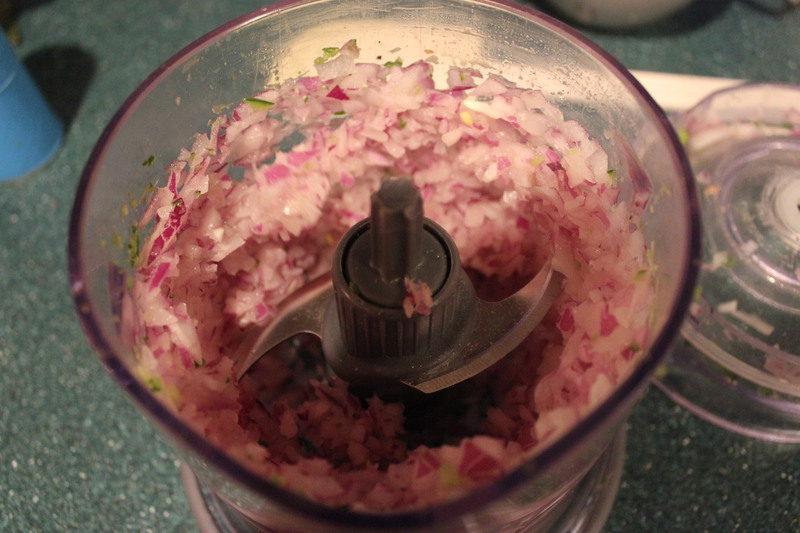 A good substitute is masa harina—finely ground, lime-treated dried corn (hominy). 1. Combine corn flour, all-purpose flour and salt in a medium bowl. 2. 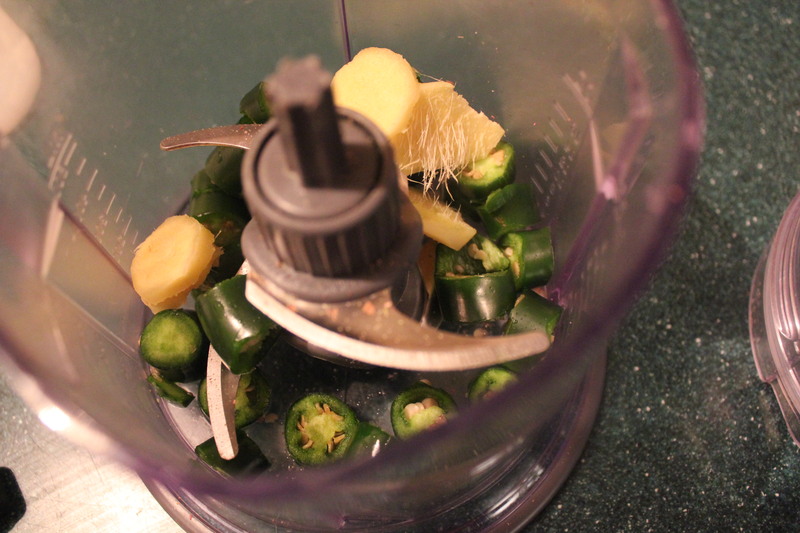 Pulse ginger and chilies in a food processor until minced. 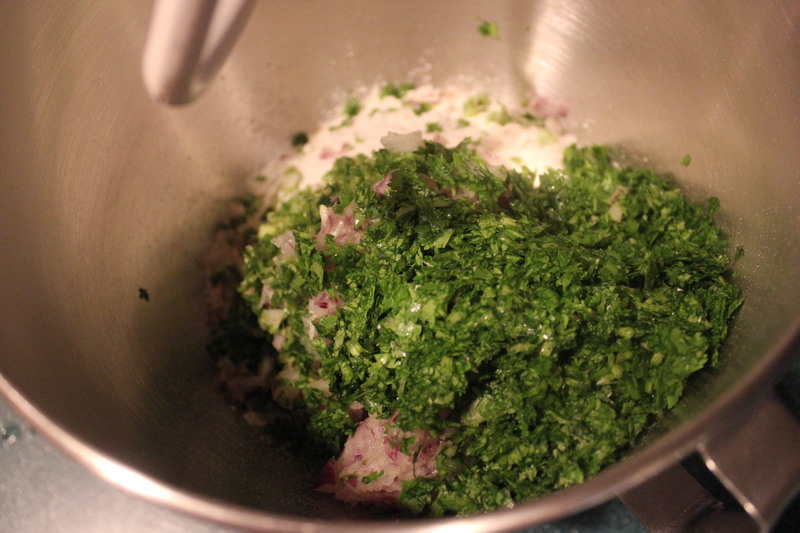 Add to the flour mixture along with onion and cilantro which I also minced in the food processor. 3. Drizzle warm water over the mixture, a few tablespoons at a time, stirring it in as you go, until the mixture starts to come together and form a ball. 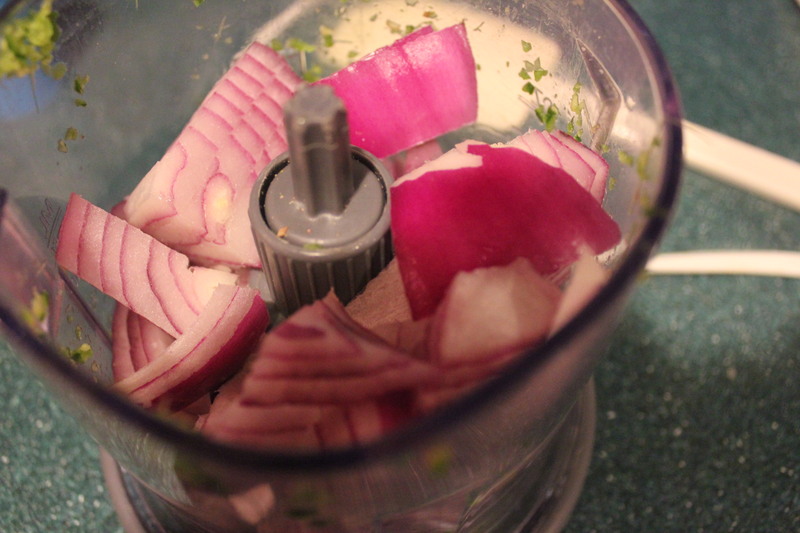 If using a kitchen aid stand just drizzle the water while the stand mixes at a medium speed. Turn the dough out onto a lightly floured surface. Gently knead until a soft dough forms (it will still be a little bumpy from the vegetables). 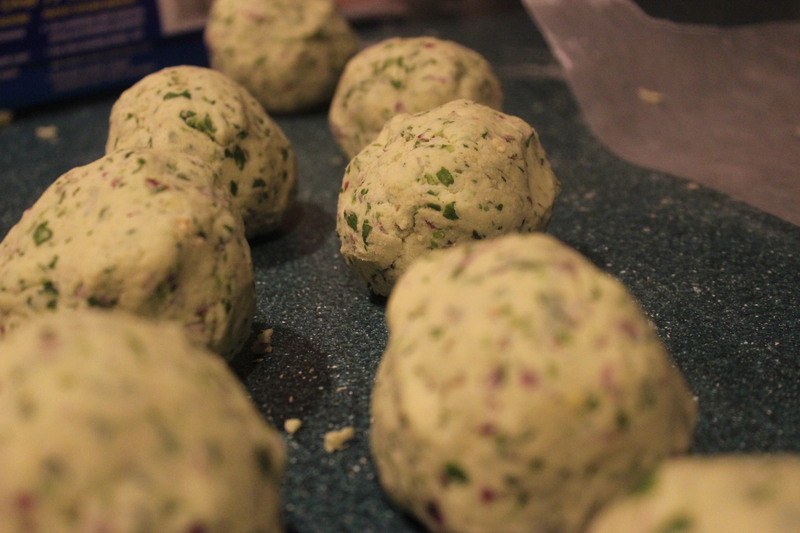 Divide the dough into 12 portions and shape each into a ball. Keep the balls covered with plastic wrap or with a slightly damp paper towel. 4. Fold a large sheet of foil in half lengthwise. Combine ghee (or melted butter) and oil in a small bowl. Place both next to the stove. 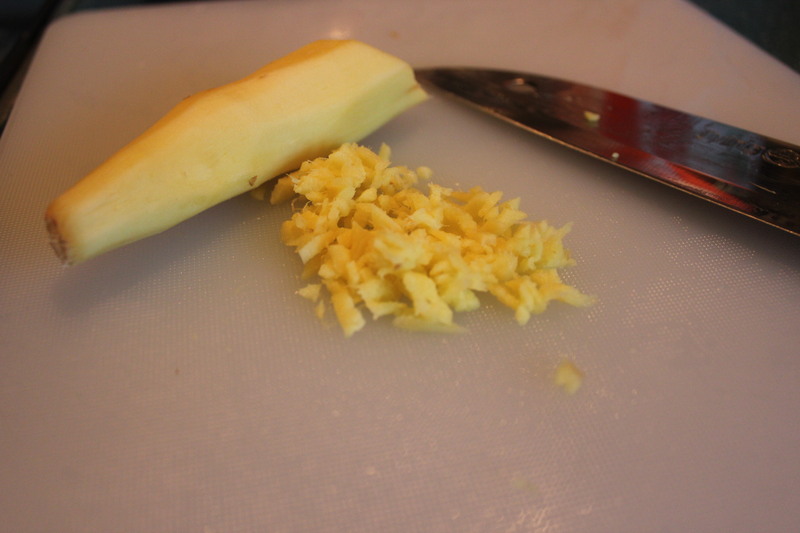 Ghee is a class of clarified butter. Coat a small nonstick skillet with cooking spray and heat over medium heat. 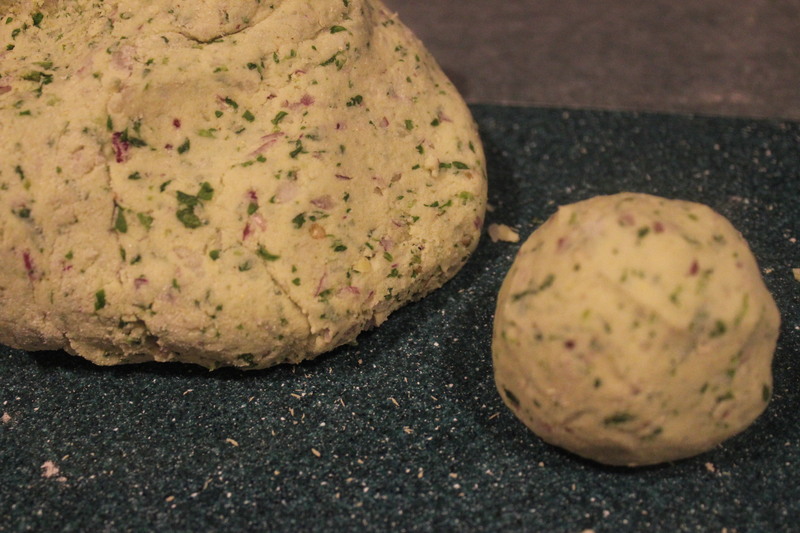 Place a ball of dough between sheets of wax paper (leaving the others covered). 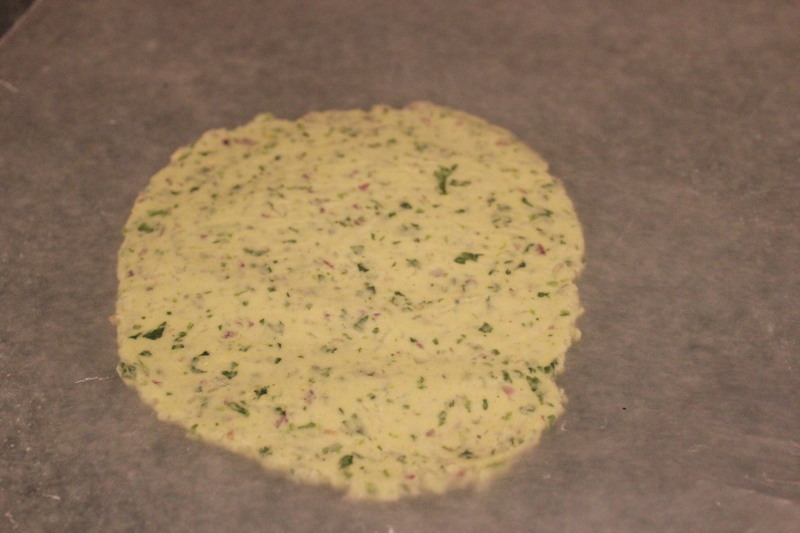 Press it down to form a patty, then roll it out into a 1/8-inch-thick disc, 4 to 6 inches in diameter (the edges won’t be perfectly round and will appear jagged and cracked). Gently peel the dough off the paper and add it to the hot pan. Cook until the underside is light brown in spots, 1 to 2 minutes. Flip it over and cook for 1 to 2 minutes more. Brush the top with butter-oil mixture and flip it over to sear it, about 30 seconds. Brush the second side with butter-oil mixture and flip it over to sear that side too, about 30 seconds. Slip the bread into the foil sleeve to keep it warm. 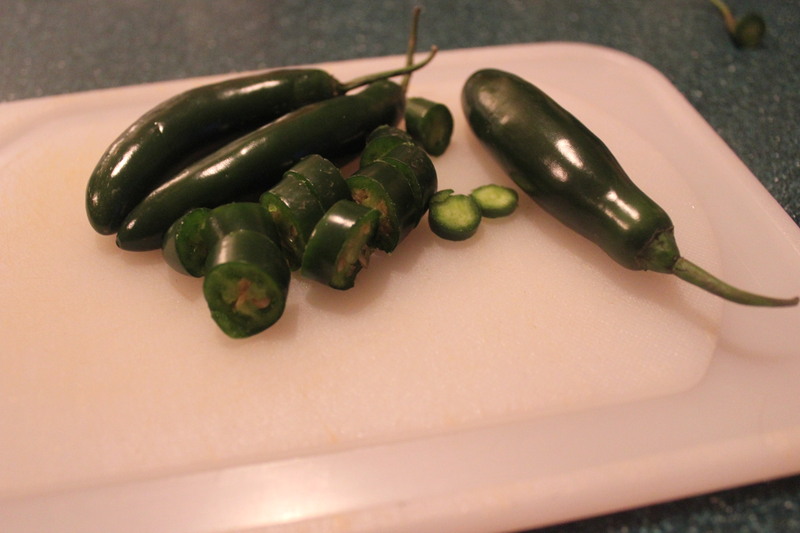 Absolutely, this was my favorite of the meal, loved the taste and of course I added a bunch of spice. I will certainly check out your post, now following you! Thanks for looking!